Last week I reported on the Anti-Defamation League's National Conference at Boston's Sheraton Hotel for The Jewish Advocate. 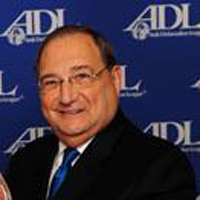 During the event, ADL National Director Abe Foxman was confronted by members in attendance who requested that the organization change it's position on the Lower Manhattan Mosque. Foxman, who feels as though their position has been misrepresented by the media, wrote an article in The Huffington Post to explain their position.